I am presently vacationing at Ground Zero, the location of the greatest pandemic threat in American history and it is all related to unscreened immigrants.I am reading and watching the local news and gathering information in a manner that most across the country are not seeing because of the national censorship in the MSM. This week alone, I have referenced related immigration stories from San Diego’s Channel 5, 10 and 15. When contrasted to the national media, the crickets are chirping. 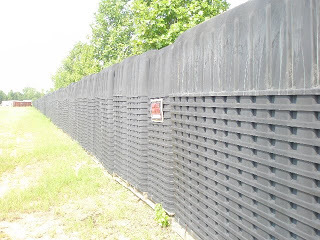 Sherrie Wilcox went looking for FEMA Camps and found this outside of Atlanta, Georgia.